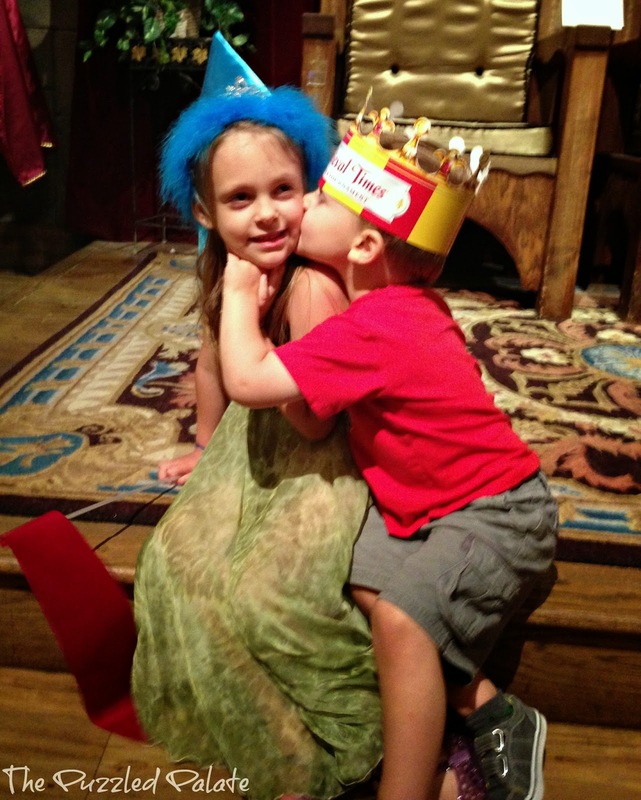 Recently, we took our kids to a castle... right here in Atlanta! 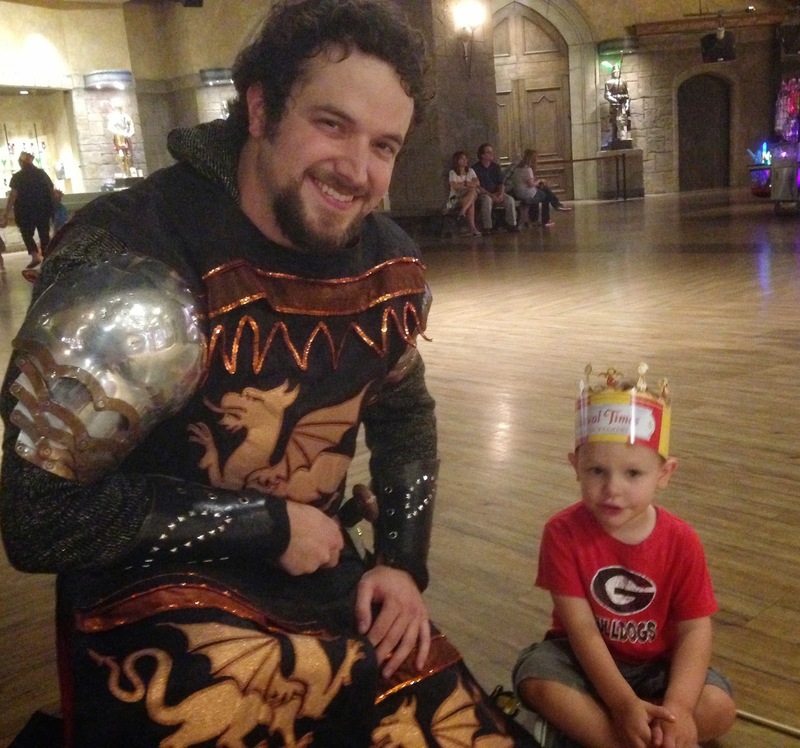 One of the most exciting experiences that we have had with our kiddos was when we took them to see the show at Medieval Times! 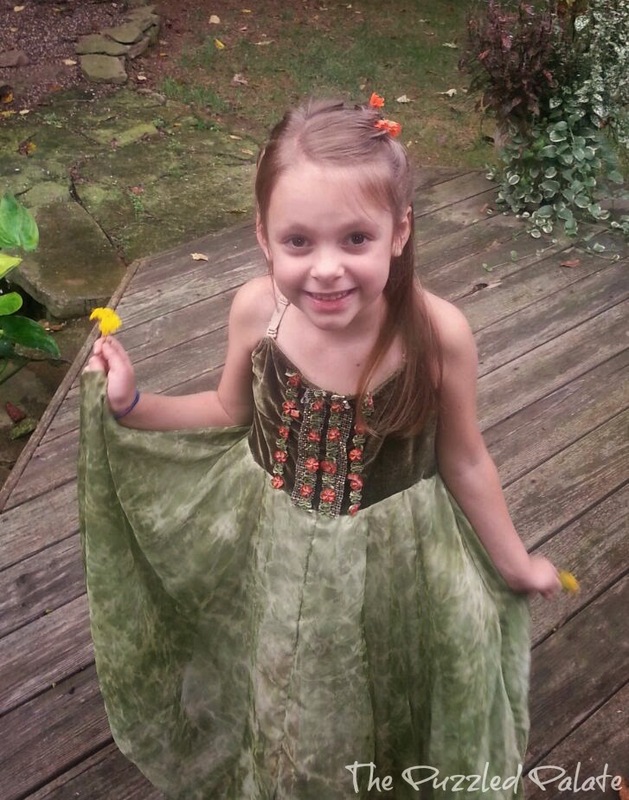 The day of, M got all dressed up in her let me give her a renaissance inspired hair style. My sweet kiddos waiting for the show to start! "Hubs" from Redhead Baby Mama snapped this one for us! I think Peanut was star-struck! 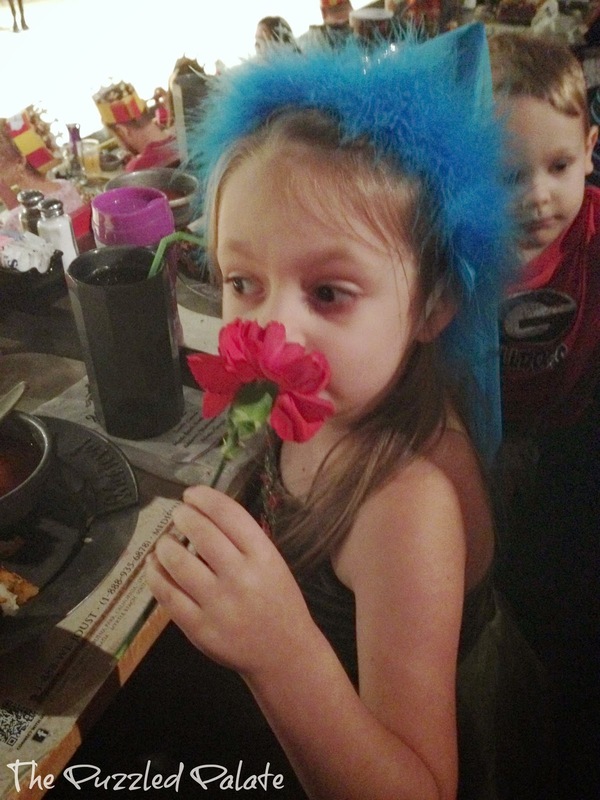 M was super excited that our knight tossed her a flower! And you know we had to take a silly selfie! With the Fall break sneaking up on us, we have decided to skip the stress and have a simple staycation. 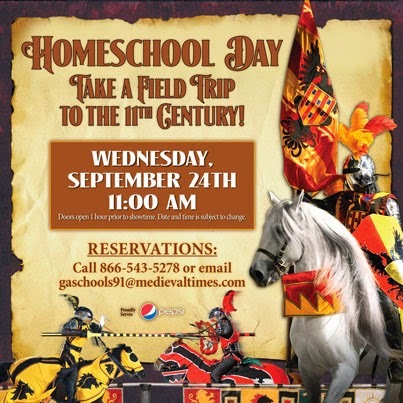 We are looking to take advantage of the fun at Medieval Times! If you are looking for something to do with the kids over the break, check out all the *discounted* fun you could be having at the Atlanta castle! 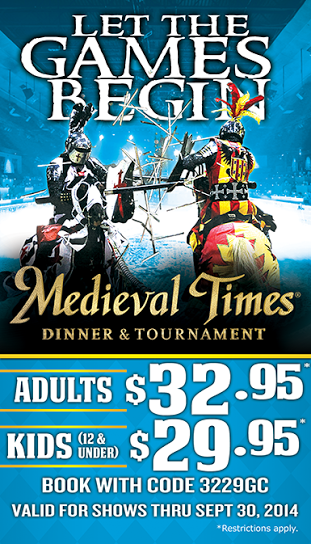 *Medieval Times is gluten-friendly and also has a vegetarian offering! Grab an entry to win your own Family 4 pack of tickets here! Winner will be able to choose from show times on 9/21 and 9/28. Good luck Lords and Ladies! We love love Medieval Times! Thanks for an opportunity to win. I have always wanted to go to Medieval Times. We don't have one near us, but maybe next time we are on vacation we should plan to go. I know they have medieval times all over the country, but there isn't one at all in New England and I think that needs to change!! I want to go so bad because it sounds like so much fun! Change is always hard, but totally worth it for a good night's sleep. My mother-in-law used to tell me I should rock my baby to sleep because she did. I told her I didn't have time for that and that my baby would fall asleep eventually, but I didn't have the working parent guilt that you said you both had. I stayed home with my first baby. Fantastic writing style. This is such a great post and an issue many parents struggle with! We have had the opportunity to go once before and had a blast! This is great, some humor with real life OMG situation. My boys rarely sleep through the night. My autistic son would by age 4 or 5 but that was after giving medicines - he was on clonidine (not sure how to spell it) for sleep, that worked for maybe a month?! Then pediatrician said children's benedryl .. that worked for like 3-4 days. Then melatonin and while that helps a little bit, it's still not a solution. Right now I am back to dealing with boys who wake up about 2-3 hours after they go to bed, and we have a very strict bedtime routine I have done since they were little .... sleep deprivation is the worst and having to share my room with the boys? That sometimes isn't fun! I LOVE Midieval Times! I've been there about 10 times, and I'm always looking for a new excuse to go. Enter coupon code. Thanks! Bedtime is a fiasco over at my house. My toddler just wants to stay up ALL night. Thanks for this idea. I have always wanted to go to a show like this! They had one in California across from our hotel, we almost went, but ended up not. Now I wish we had! I know we would love this - too bad we live so far away. I am checking their must be one in Milwaukee or Chicago. Yes we have! I had no idea they had a GF option! That's good to know. The problem, is usually it's swapped for dairy! Nope! A large bowl of fresh fruit or an Italian ice! Italian Ice? You are kidding me....I let that little apple pie thing just sit there last time! Every time I drove through Dallas coming from OK I would tell myself we would go. Spent most of my life in OK and never went to Medieval Times. Now, I have no idea where one is. And M is beautiful!! I was so happy so caught the flower from our knight!! Royal Maiden, indeed! I wish I could say yes, but we've never been. We definitely want to take our kids one day. 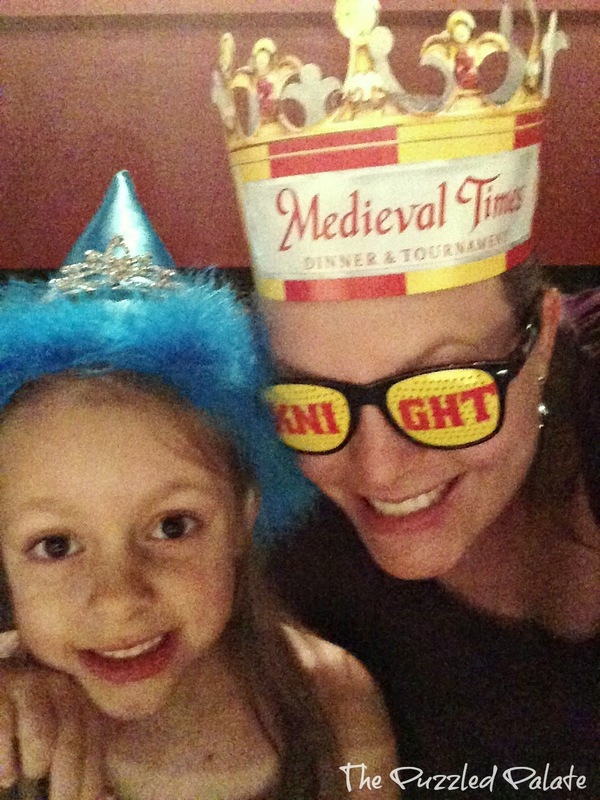 Medieval Times is on our list of places to go. I went with some of my favorite people. My son loved the Knights fighting and my Princess loved the horses. It was so much fun we would love to take daddy with us next time. We have been to this once before and LOVED it - would love to see it again for our 10 year anniversary in 2 weeks. I have been to one like this, but never this one. We took my Grandkids when they were young and they loved it. Wow what a cool looking place! I've been to Atlanta so many times but we have never been there! I hope to go soon! Really neat place. I would love to see this. how cool is knight training! my son's recently obsessed with knights and castles. It looks like everyone had a good time at Medieval Times! We have a Renaissance faire every year near us, and I would like to go some year. I have been to a lot of dinner shows, but never MT. I have been dying to go, so it looks like I need to plan a trip. 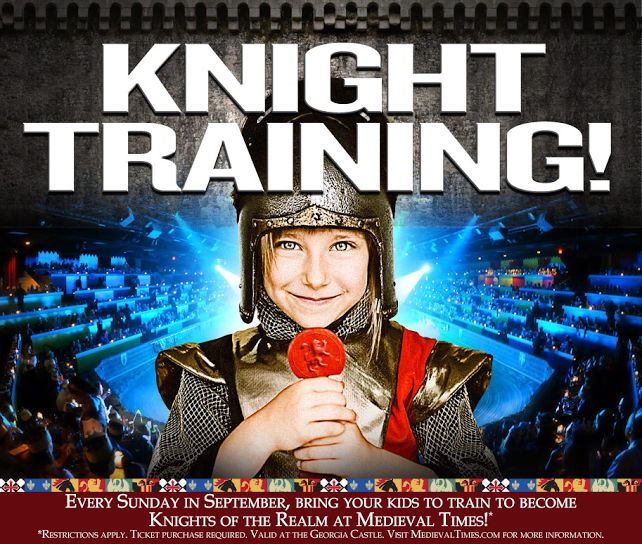 I love that they offer knight training, my kids would LOVE that! Looks like you had an awesome time! I used to go to Medieval Times a lot when I was younger. How fun! A trip to the 11th century and meals to satisfy 21st century palates. I know your kids had a blast, and you, too.